You must report accounts you hold in foreign banks and other financial institutions if your total balance across all your accounts is $10,000 or greater at any time during the calendar year. 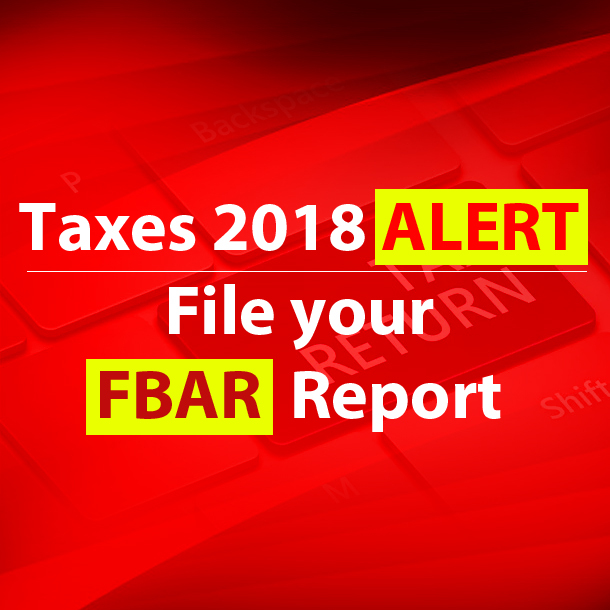 FBAR reporting deadline is April 15, 2019 this year unless you are filing an extension. If you file an extension then the deadline moves by 6 months. The FBAR or Foreign Bank Account Report is a very important requirement for all US tax residents. All US citizens and green card holders are responsible to file the report. » then add days present in USA in tax year for which you are filing taxes to 1/3rd of the days in the year prior, then 1/6th of the days present in USA two years prior. Fines and penalties for failure to comply is SEVERE as the intent of the rule was to nab terrorists. However, it applies to ALL. If you missed filing for prior years, please contact a CPA immediately. Indian banks have started reporting to American Government. Self report immediately. Check with a CPA to protect yourself. Click here for miindia listing.